This was Luckow’s second involvement with this project. Redesigned application flow, installer and built a working prototype in Flash that was used for user testing. 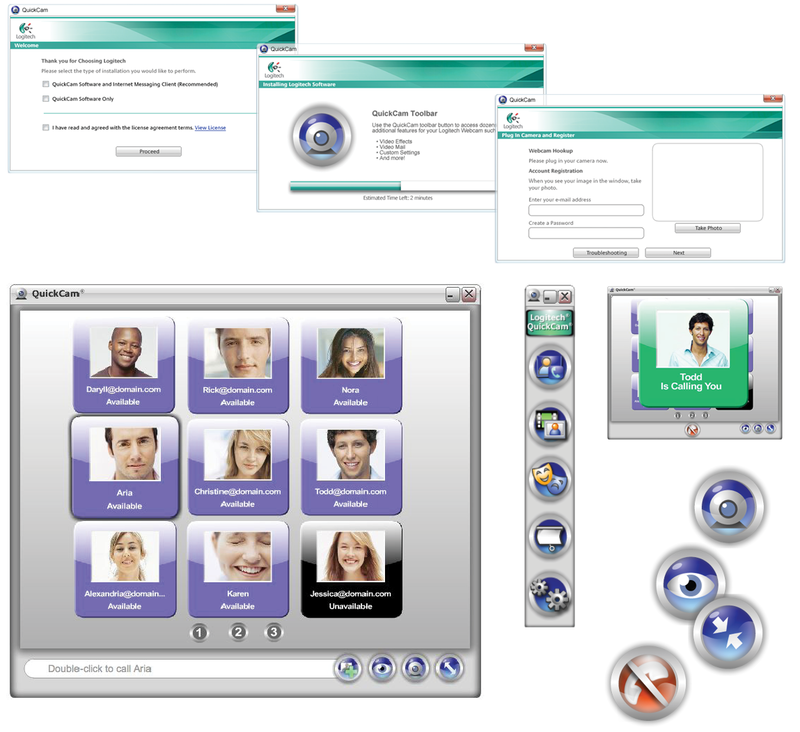 Luckow created all production graphics, icons and redesigned the QuickCam™ toolbar to integrate to the main UI skin. Emphasis was on simplicity. Ultimately, with this design, the user would only really perceive one screen. This project eventually morphed into Logitech Vid™.